Stability in prices of cryptocurrencies have marked the first few months of 2018. This is not surprising. No major crypt-currency related scams or ransom-ware attacks were reported. Further, major economies of the world including India and China have not banned cryptocurrencies. Rather, these countries are moving towards some regulations that can prevent their use in criminal activities ranging from tax evasion and money laundering to financing terror attacks and drug trade. Since 2017, Blockchain technology has seen innovation. The blockchain, on which all cryptocurrencies trade is now accepted worldwide. It is now speedier as restriction on blockchain use have been relaxed. Additionally, newer technologies for maintaining and monitoring transaction blocks (ledgers of cryptocurrency movements) and mining have made the process much faster: transactions that could take few hours are now completed within minutes. What This Augurs for Cryptocurrencies? As wild bull-runs on the cryptocurrencies markets ebb, an increasing number of investors are now keen to place their money on Bitcoin, Ethereum and their likes. Reports indicate that Russia’s online payments giant, Qiwi intends to launch Bitrouble, its own cryptocurrency that may have Kremlin’s blessings. Given these facts, there are 10 best cryptocurrencies that you can consider as attractive investment options in 2018-2019. Undoubtedly, Bitcoin is the king of all cryptocurrencies. Over 2018, Bitcoin rates have remained fairly stable. It's the best cryptocurrency to invest today. Further, Bitcoin displays an amazing capability to recover from any downturns caused by global or regional upheavals including ban on trading or crackdown on cryptocurrency exchanges and trade enforced occasionally by some countries. Most governments around the world are considering Bitcoin as benchmark for bringing some sort of regulation into the entire gamut of cryptocurrency trade. It is likely that Bitcoin will receive some degree of legal acceptance in coming years. Technological issues including delays in Bitcoin transactions are becoming extinct: advances in the blockchain technology now ensures that ledgers (blocks) and mining Bitcoin is faster. Added to these is the growing acceptance of Bitcoin in Business-To- Business (B2B) and Business-To-Consumer (B2C) transactions. More business establishments around the world and online stores now accept Bitcoin payments. Another factor that goes in favor of Bitcoin is the possibility to pay in fractions or Satoshi. Lured by the opportunity of making fast money with cryptocurrency, you can pay Satoshi or one-millionth part of Bitcoin as tips and fees for availing minor services. This latest variant of Bitcoin is something every investor should consider for their cryptocurrency portfolio. Cryptocurrency experts aver, BCH displays a much faster capability to recover from wild swings in the market. Bitcoin cash has inherent capabilities to overcome cryptocurrency markets volatility when compared over its parent BTC. Additionally, Bitcoin Cash transactions are much faster. BCH is said to possess a higher block size limit that makes it faster to track and mine on the blockchain. The higher number of ledgers possible with BCH are seeing its popularity surge among cryptocurrency investors as well as organizations that accept Bitcoin Cash for payments. Binance Coin rates have more than doubled since beginning of 2018, if cryptocurrency reviews are to be believed. Binance Coin or BNB comes from Binance, one of the leading cryptocurrency exchanges of the world. Primarily, BNB emerged as intermediary or tender for trading different cryptocurrencies. However, it has now become one of the most traded cryptocurrencies worldwide. Should you be eyeing a portfolio that consists of diverse cryptocurrencies, BNB is something you must include. It is one of the most flexible cryptocurrencies and accepted immediately in lieu of Bitcoin and its counterparts. 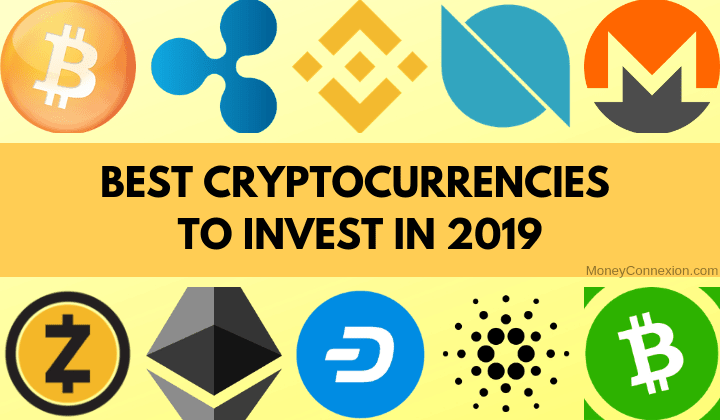 Should you hold Bitcoin, Ethereum or other cryptocurrencies, Binance Coin is another best cryptocurrency to invest in 2019. Prices of Monero have never really taken off. In fact, Monero has indicated a downward trend when compared over other cryptocurrencies, due to an overall slump in Bitcoin rates. However, Monero also indicates amazing capabilities to overcome market volatility and recover. It is expected to touch the US$500 mark by end 2018 and surge to higher levels in coming years. XMR operates on a very sophisticated system when compared over other cryptocurrencies. The system allows superior level of privacy and anonymity of transactions. There were rumors about the North Korean regime mining Moreno and intended to use XMR thus available to engage in secret deals. These rumors have since been scotched. If you are looking at long-term investment, it would be a good idea to include a few XMR for your portfolio while the asking rate is low. It is now hovering between US$300 to US$400 per unit of this altcoin. Dash derives its name from Digital Cash. Similar to every other cryptocurrency of the world, Dash is not regulated by any authority. However, it has a unique regulatory system that allows every Dash investor to bid for a price, set own rates for exchange and offer different proposals for its trade to others. Further, Dash promoters claim, it works on a self-financing and self-governing protocol, which is the first for any cryptocurrency. Dash has been on the cryptocurrency market for nearly 14 years. It is most popular among investors that require quick transactions and much enhanced security, privacy levels. Dash shows promise of becoming a formidable cryptocurrency to invest that will offer high returns in coming years. Despite being a newer entrant on the cryptocurrency market, Zcash has some 21 million coins in circulation on the blockchain. Currently it is available for fraction of the price of a BTC or BCH- around US$200 per unit. Zcash is popular among American investors due to the high level of privacy and speed of transactions. Zcash however comes with one major advantage. It is possible to keep track of your transactions without compromising anonymity. Thus, you can safeguard your Zcash holdings and track whether any were fraudulently withdrawn or deposited from the cryptocurrency wallet. Any cryptocurrency portfolio bereft of Ethereum is incomplete. Promoters of Ethereum term it more as an online ecosystem that facilitates commerce. But the core of this ecosystem is a cryptocurrency called Ethereum. In fact, Ethereum is the second largest crypto asset after Bitcoin. A major factor that goes in favor of Ethereum is, most Initial Coin Offerings of 2017 and 2018 were made through the Ethereum platform. This trend is expected to continue since Ethereum offers a very sophisticated blockchain based platform that is highly secure. Investing in Ethereum means, you can bid for newer coins with this crypto-asset. Priced about US$4 apiece currently, Ontology is a blockchain based cryptocurrency and digital asset worth investing. It has already neared market capitalization of US$6 billion following a rather successful ICO. Promoters of Ontology are now looking at making this cryptocurrency more accessible to investor worldwide and introducing technologies that will expedite trading with enhanced privacy. However, Ontology has one flipside. Its rise was meteoric and caused by reasons that many cryptocurrency experts are grappling to understand. For the low price, it is definitely worth some investment. But significant profits from your investments in Ontology maybe some years away or at worse, can never occur. Ripple is both, a cryptocurrency and a global payments system. Its promoters claim to have scores of banks across the globe as users. Ripple is used widely as intermediary while trading in huge amounts of regular fiat currencies. It is commonly utilized as tender to buy and sell fiat currencies that are not easily exchangeable on the global or local markets. With global e-commerce on the surge, Ripple promoters are constantly upgrading its blockchain. Ripple as cryptocurrency is also gaining ground fast due to its legal use by trading organizations and banks worldwide. Thus Ripple is an excellent cryptocurrency for the investment. Good dividends on return however may take some time to materialize. Cardano is priced very low- less than one cent per unit. However, this low price has given it immense popularity. First time investors in cryptocurrency market have stockpiled Cardano with hopes that it would gain immensely in future. Investing in Cardano does not require much finances. Buying a few ADA for your portfolio makes excellent sense: Its prices can only surge. Cardano also works on a very sophisticated blockchain and hence, offers excellent privacy and speed of trading. US-based Weiss Ratings, an organization that provides reviews and information to traders, investors and consumers on various financial services cautions against investing in several cryptocurrencies. Weiss Ratings arrives at these conclusions for cryptocurrencies following extensive research into their systems, promoters and sustainability. According to various sources, the following cryptocurrencies are best avoided. Should you seriously consider investing in cryptocurrencies, here are some facts that are to be borne in mind. No Foolproof Anonymity: Buying, selling or trading in cryptocurrencies is not as anonymous as one may believe. When you pay through credit card/debit card for cryptocurrencies, the transaction can be traced. Permanent Losses: All cryptocurrencies are stored in digital form online or on computer-based wallets and hardware wallets. These are accessible only through complex passwords. Losing passwords can mean permanent loss of cryptocurrencies. Legislation: There are no government legislation regarding cryptocurrencies. Hence, any sort of trade in these can be banned by your country. No Guarantees: Cryptocurrencies have their own detractors and aficionados. There are fierce debates raging worldwide over future of cryptocurrencies. Yet, no side has been able to provide evidence that would guarantee cryptocurrencies are here to stay. In brief, they may become extinct overnight. Scams: Sadly, the cryptocurrency trade is rife with scams. Online scammers have succeeded in getting cryptocurrency investors to part with their passwords to empty their wallets. Others have hacked passwords to steal cryptocurrencies. Unreliable Exchanges: While scores of reliable and trustworthy cryptocurrency exchanges flourish in the real world and online, several fly-by-night operators are also active. They offer cryptocurrencies at low rates and decamp with your money. Law Enforcement: The entire cryptocurrency market is under scanner of law enforcement agencies of various countries. This is because cryptocurrencies can be used by terrorists, drug traders and tax evaders, among others. Despite some drawbacks, cryptocurrencies do offer excellent avenues for investment, especially in the longer run. Most cryptocurrencies exhibit resilience and have bounced to newer higher rates after any slumps. Cryptocurrency investments are not feasible for short term gains. You need to stay committed to the portfolio and hold your investments for long to record any significant profits. what about “dascoin” is it a good investment or not. Great! It looks that you have given accurate cryptos predictions with strong highlighting factors, but I amazed to see that you didn’t include other popular coins such as IOTA, Skycoin and Elastos in your top list. Many people say bitcoin to be banned in India. 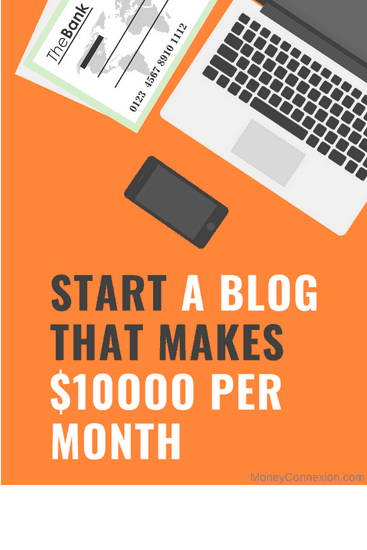 What do advice me personally… is it worth to invest in it?